Halloween is just around the corner, and I have some perfect gifts for this time of year. Zombie pillows!!! In fact, they also make great gifts for those friends or family members that are zombie aficionados... You know, they can't get enough of the zombie craze. They have t-shirts, posters, video games, and even participate in the yearly zombie walks. 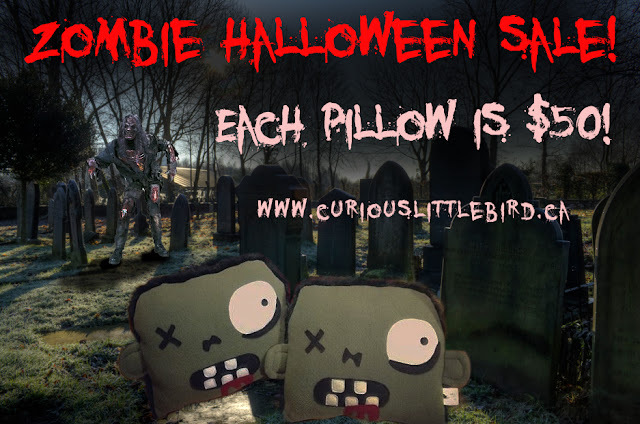 Why not buy them an original pillow? I only have 2, and they're on sale for $50 each. In the workshop: What's new? To keep up with this crazy work schedule, I've given myself a quota of 5 monsters per day, and I don't sleep until all those 5 are done. Only once did I not fulfill my day's work, when I had 3 yetis in my order. They're still sitting in my work room, waiting to be stuffed. Yeti w/brown horns (left), Yeti with charcoal horns (middle), Yeti w/dark purple horns (right). As you've noticed on my calendar, the very last box says Urban Craft fair. It's in Ottawa, and it's my first fair outside of Montreal. I had to borrow a table from a friend AND get a ride there. I would have taken the Greyhound, but I was thinking of how much trouble it'd have been to carry too many huge bags as well as my purse and a folded up 6 foot table through the metro and to the bus, then on the bus in Ottawa. Not to mention the fact I'd have to be on the metro in my part of town by 6 am just to catch the Greyhound on time! 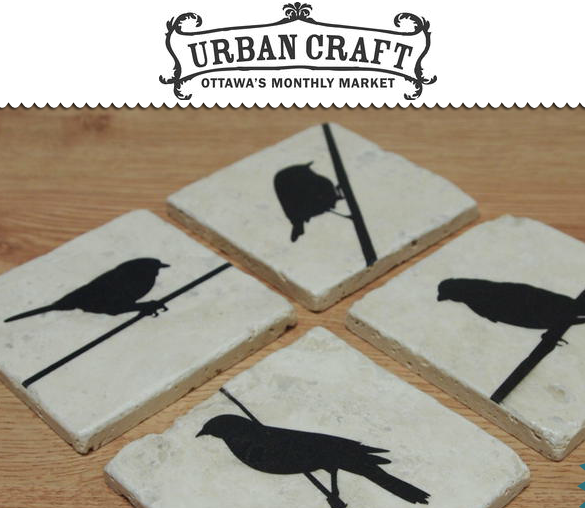 Urban Craft is Ottawa's first and only monthly craft market, featuring the freshest and hippest vendors around! Taking place the first Saturday of every month in the heart of Hintonburg, Urban Craft is the place for you to find that perfect gift, your new favorite cupcake, or the perfect accessory for your next night out on the town! Free gifts for the first 25 People! I'm also waiting to hear news of the Shark Bites first episode. No word yet. I've been promised stills of the shots where Chester was in the show, and as soon as I get them, I'll post them. 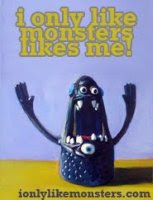 Below is the totally awesome monster I got in exchange for Chester from Yetis And Friends. He adorns my wall between my living room and my work room, and his sign (that's cut off) reads: Please don't touch the yeti. He bites! Thanks. He doesn't really bite, but the hook in the wood doesn't have a divot to keep him from falling easily off the nail. So even touching him a tiny bit makes him fall down. I should go and make breakfast now. Today's quota probably won't get done since it's already 11 am. :) I can handle that. Sorry I haven't posted regularly these days. I get so caught up in what's happening with my business, and I'm so busy, that my blog has become something I do when I have a little time. 1. 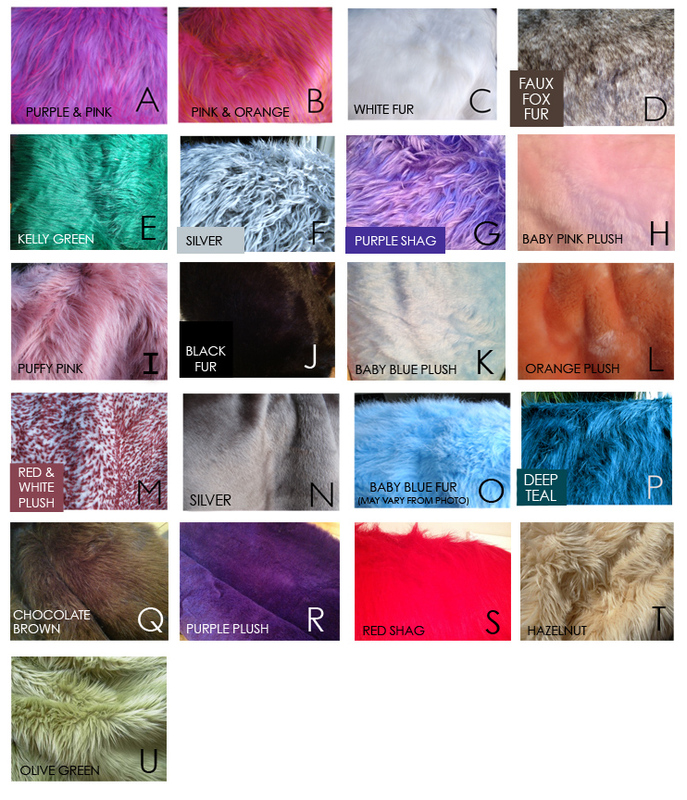 I created a few new monsters :) I bought some *hopefully* guy friendly furs in olive green and hazelnut. 2. I have a few new stores that will be carrying my monsters! 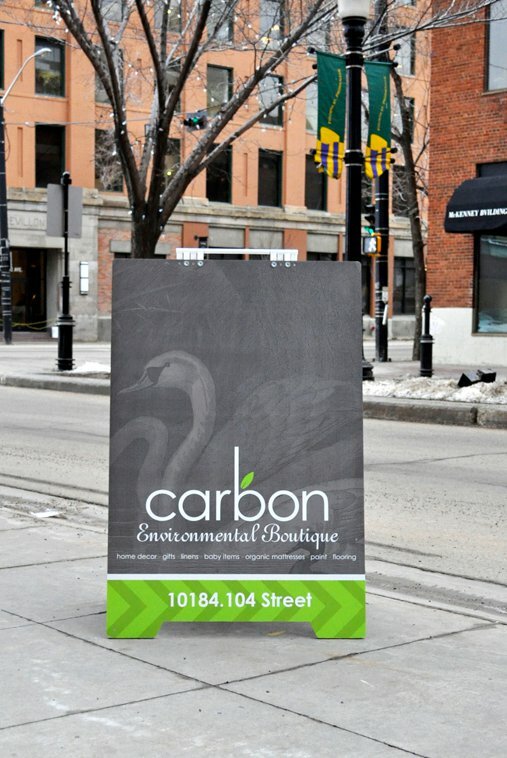 a) Carbon Environmental Boutique in Edmonton, Alberta will very soon have my monsters on their shelves! b) Intergalactic Travel Authority (ITA) in Toronto, Ontario should have monsters by the end of October. Since fall is here, and Christmas is right around the corner, I can't promise any blog posts from now until then. Since I am the sole person in my business, I feel like I will be working 50-60 hour weeks, and blog posts are the last thing I think about. :) If only I had more interesting things to talk about! But then, I don't create 1 new, original monster every other day like most people who make plush as a hobby. This is my living, so of course I always do repeats. It's how most successful businesses operate. You can see for yourself at some of the businesses that always carry the same products. Keep reading though, because I will be making a new monster out of Kelly Green fur, and I will talk about him briefly.